Subscribers must have a One plan with at least two paid voice lines, which costs $120 per month. Plans with three and four lines are $140 and $160, respectively. 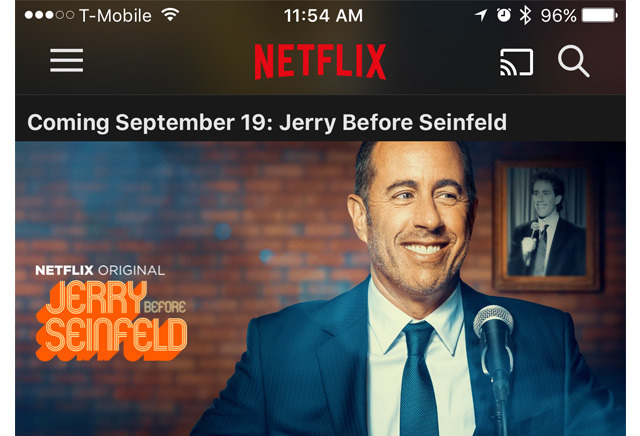 The "Netflix On Us" promotion covers the cost of a standard $9.99 Netflix subscription, which supports regular HD resolutions and simultaneous streaming on two devices. If a person already has a Netflix account, billing will switch to T-Mobile —people wanting 4K, four-screen streaming will have to pay the price difference. Apple is expected to announce three new iPhones at a Sept. 12 press event: the OLED-based "iPhone 8", and the LCD-equipped "iPhone 7s" and "7s Plus." Recent rumors have suggested that the "7s" devices will actually be called the "8" and "8 Plus," making the OLED model the "X" or "8 Edition." Carriers will often launch promotions in parallel with new flagship iPhones, hoping to attract switchers, or become the carrier of choice for first-time smartphone buyers. Typically though these promotions involve discounts on devices or data plans.